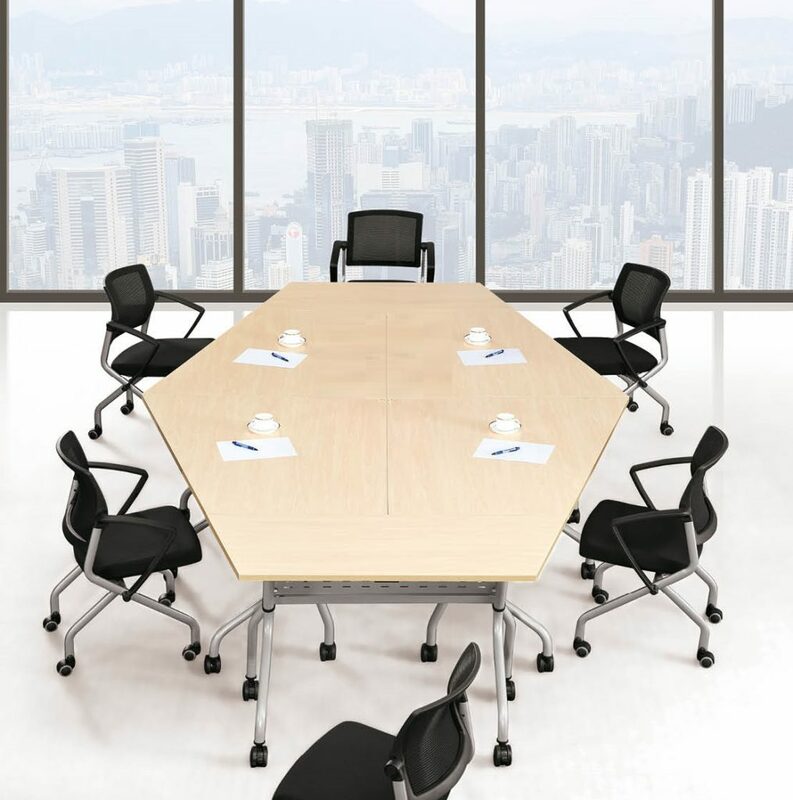 Want to find out more about Office Empire‘s range of Office Furniture, Foldable Office Desk, Office Renovation Services or Office Relocation Service? Do drop us a line and we will get back to you! If you are a business owner in any part of the world and you have set-up an office for carrying out routine business activities, you may want to get the most out of your resources. The modern business practices and methods of managing resources have significantly changed from the erstwhile practices since the business activity now demands better efficiency and productivity in order to achieve sustainability. Businesses, which do not manage to get the most out of their resources seldom sustain for long. 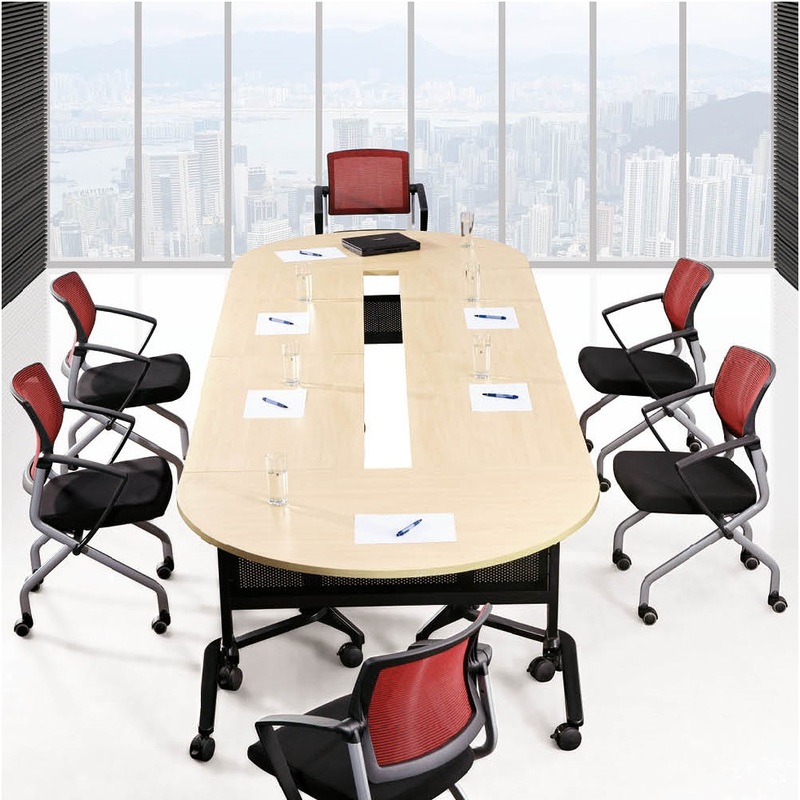 Office furniture is an integral part of offices irrespective of the size of the business. 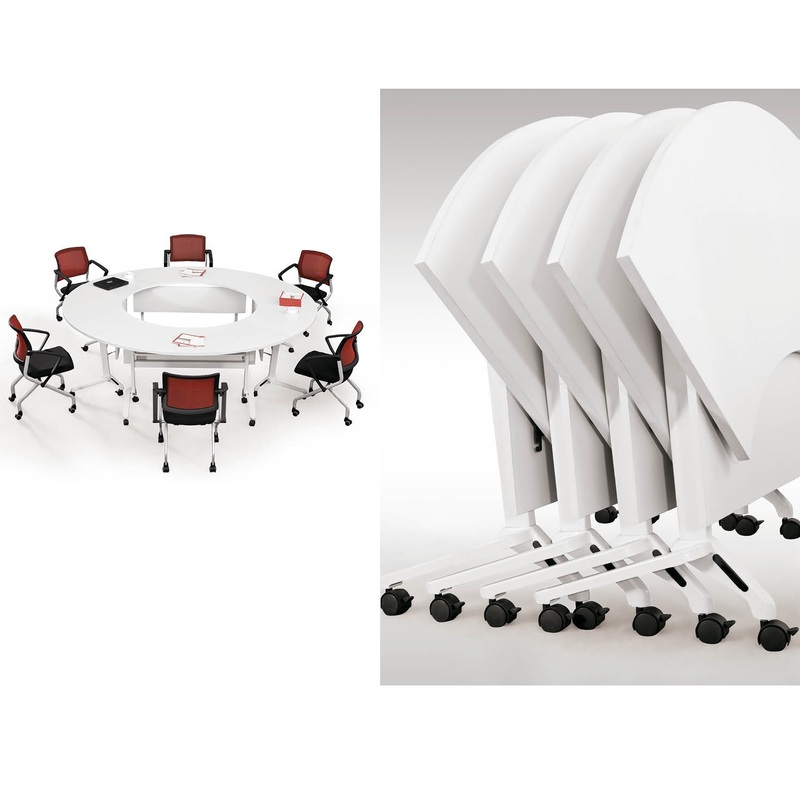 The modern business methods demand intelligent solutions in order to enhance productivity, which is why multi-faceted and versatile innovations have happened in office furniture as well. 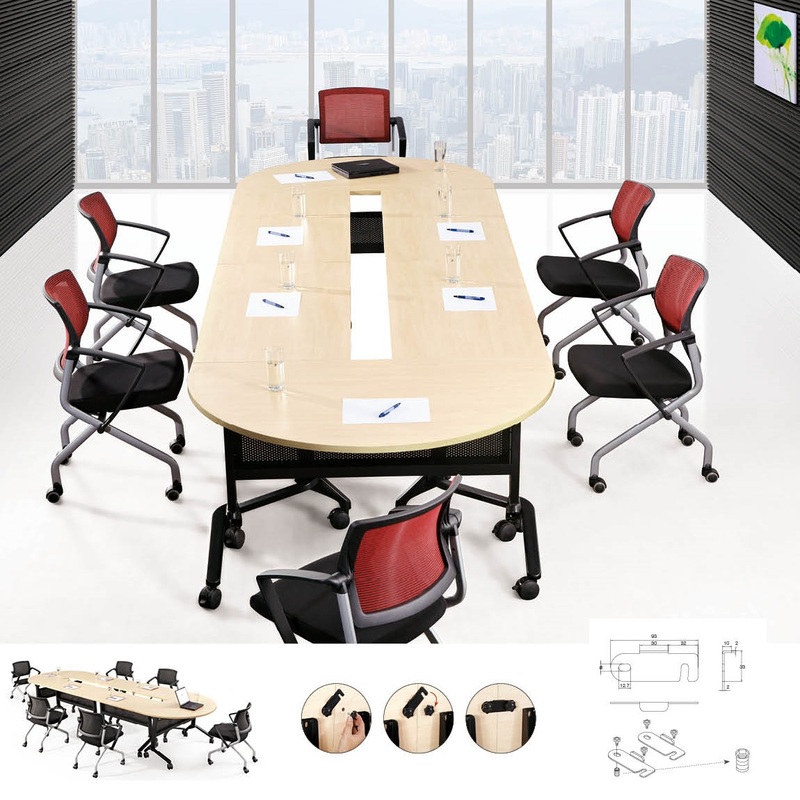 It is expected that the office furniture is able to deliver high functionality for both small and big businesses for a reasonable cost. Offices, which have limited space or resources, require these intelligent office furnishing solutions in order to be able to compete with big businesses. 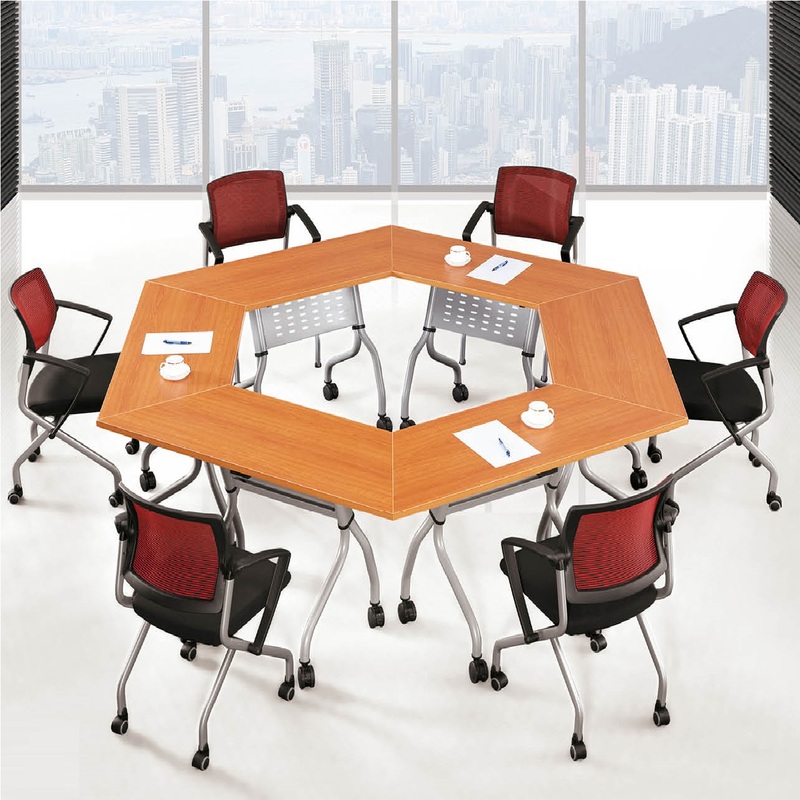 Foldable office table of different shapes and styles are a premium part of the intelligently designed office furniture, which can be used when required and folded up for storage otherwise. These are made from lightweight materials such as plastic, lightweight metal, wood, and other synthetic materials. 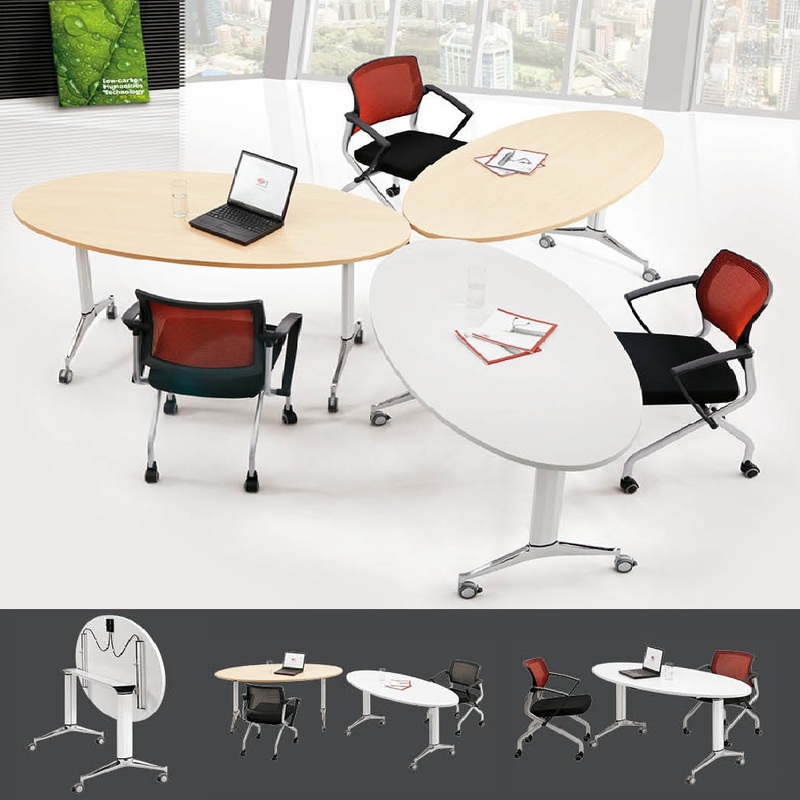 These foldable tables are important for shared offices as well where space has to be used for many different purposes. 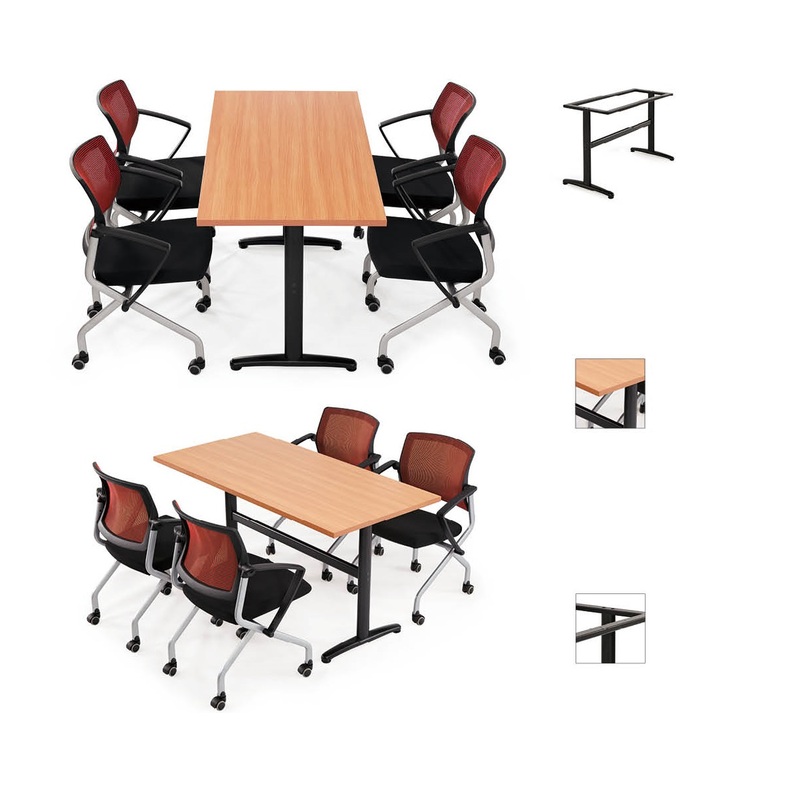 Office folding tables are available in different styles and shapes depending upon the needs of any office department. 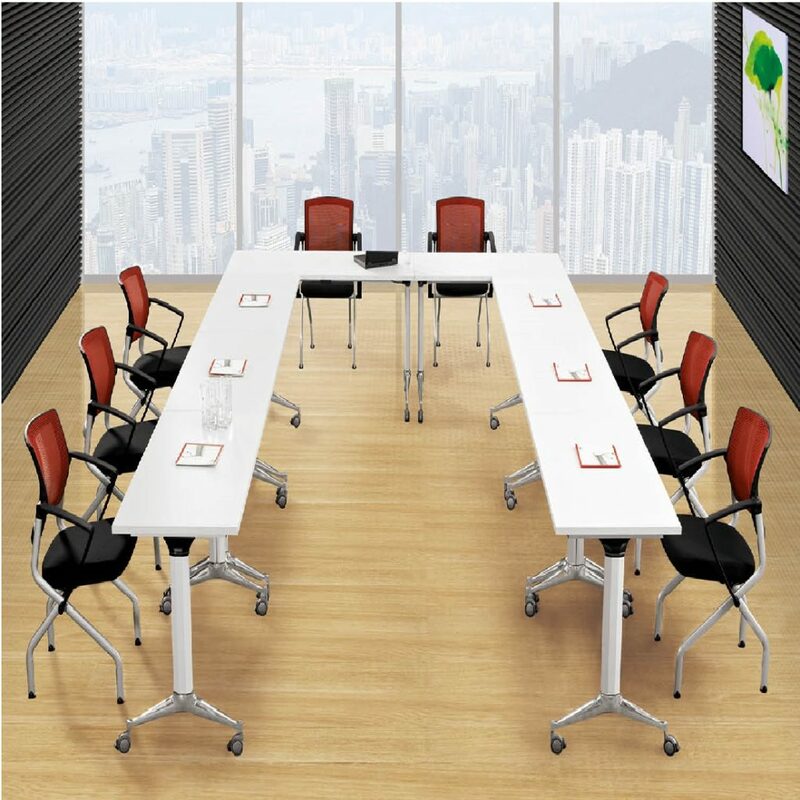 These portable office tables can be easily moved from one place to another, which makes them highly suitable for any modern office working environment. 1. 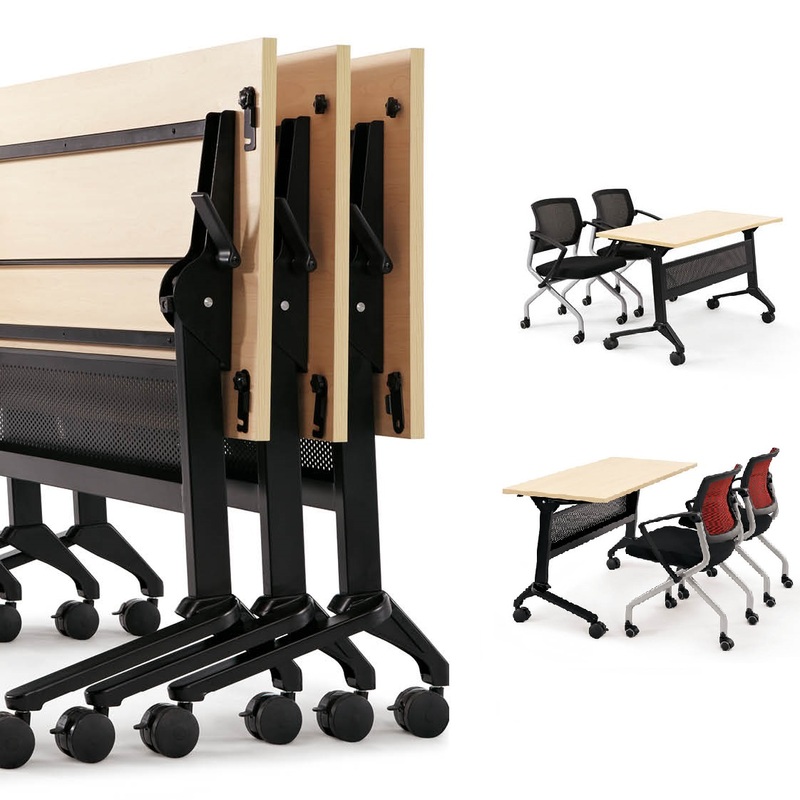 Space Friendly: These foldable tables are space friendly, which means that they can be used in small or shared offices when required and they can curl up for storage when they are not in use. 2. 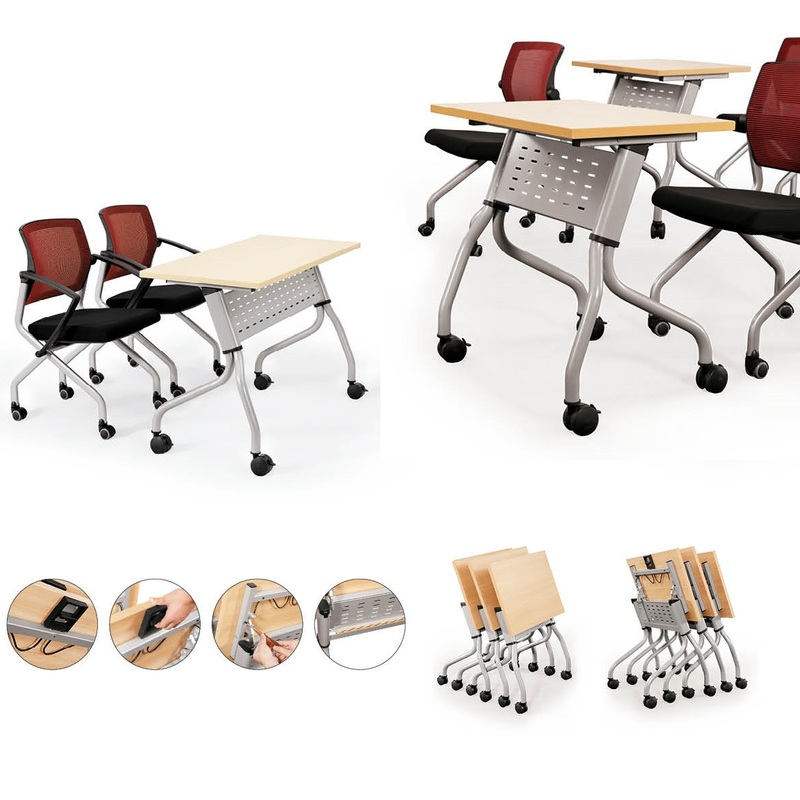 Portability and Transportation: The foldable office tables are portable and they can be easily transported from one place to another. 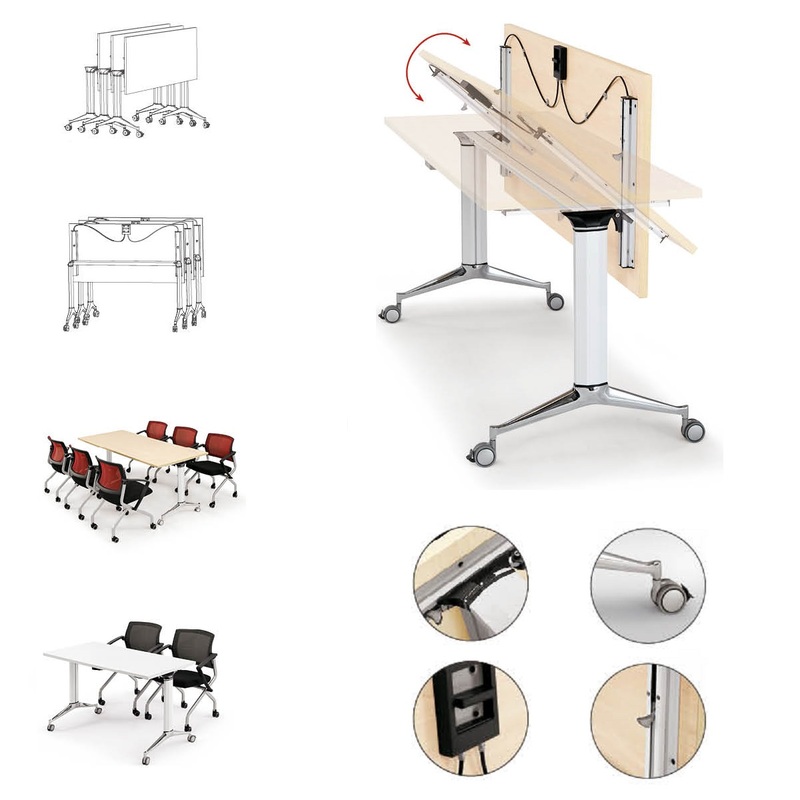 When the users have to shift their office or when shuffling in an office is required, it is highly convenient to work with foldable office desks as compared to the traditional office furniture. 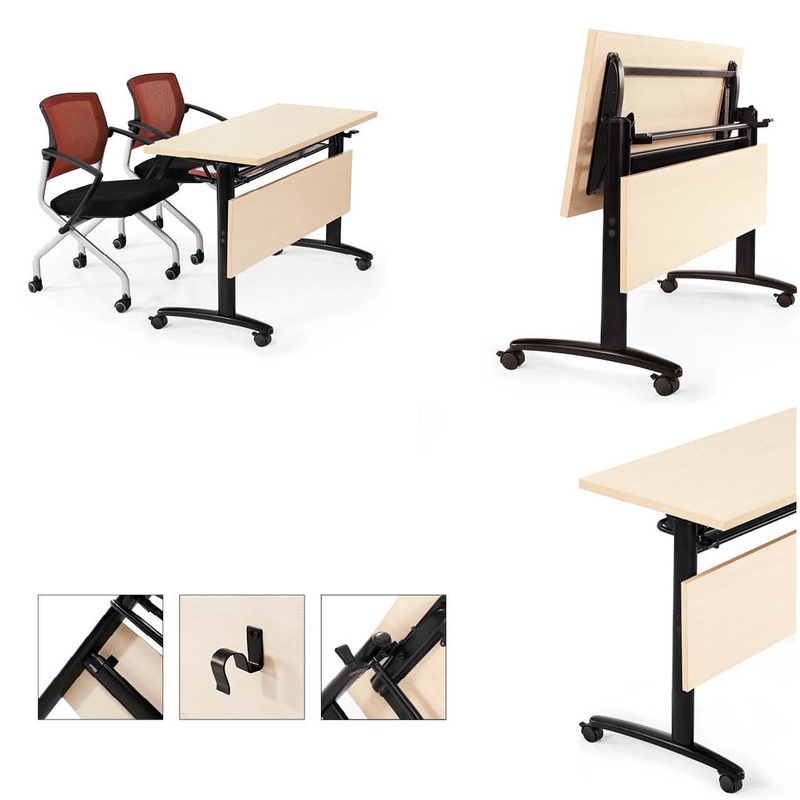 Such foldable desk is mostly manufactured with lightweight materials, which further increases the ease of transportation. 3. 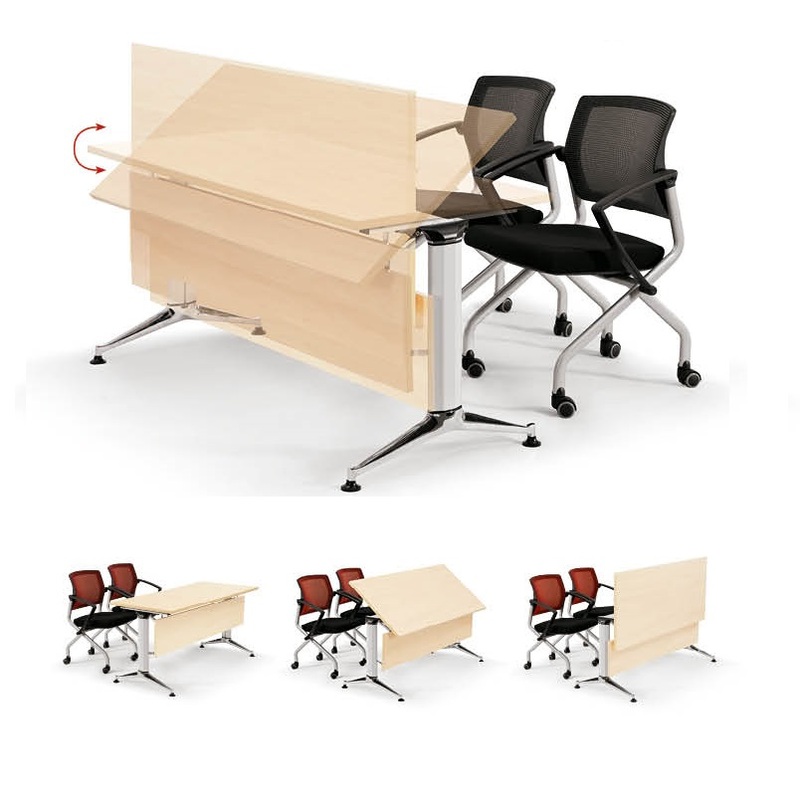 Multi-purpose Usage: The foldable office tables can be used for multi-purpose since they can be easily moved from one place to another. 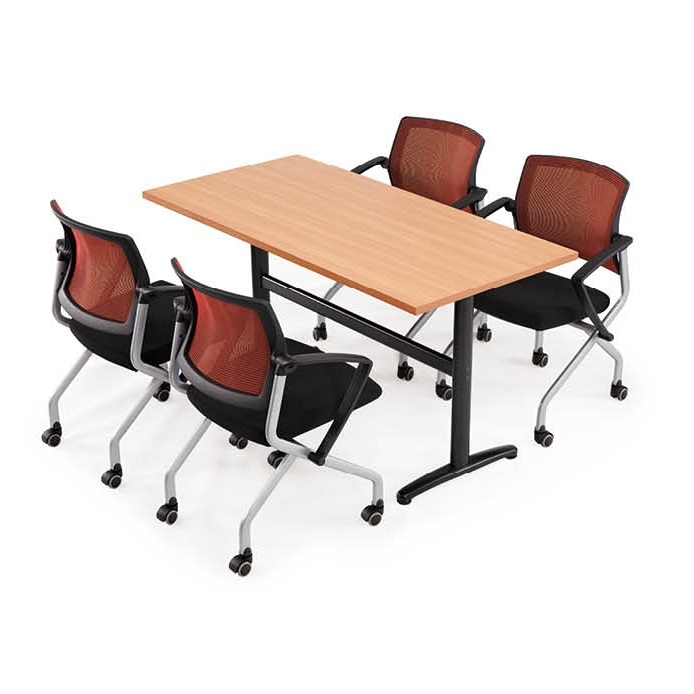 This enhances the productivity of the office resources as well as reduces the cost of business. 4. 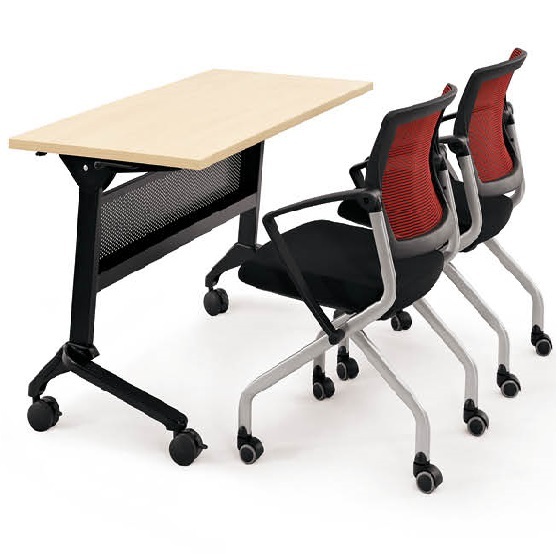 Ease of Handling: The foldable office furniture provides greater ease of handling as compared to the usual office furniture. The foldable tables can be set up or dismantled by anyone and there is no need to hire professional services in order to work with them. 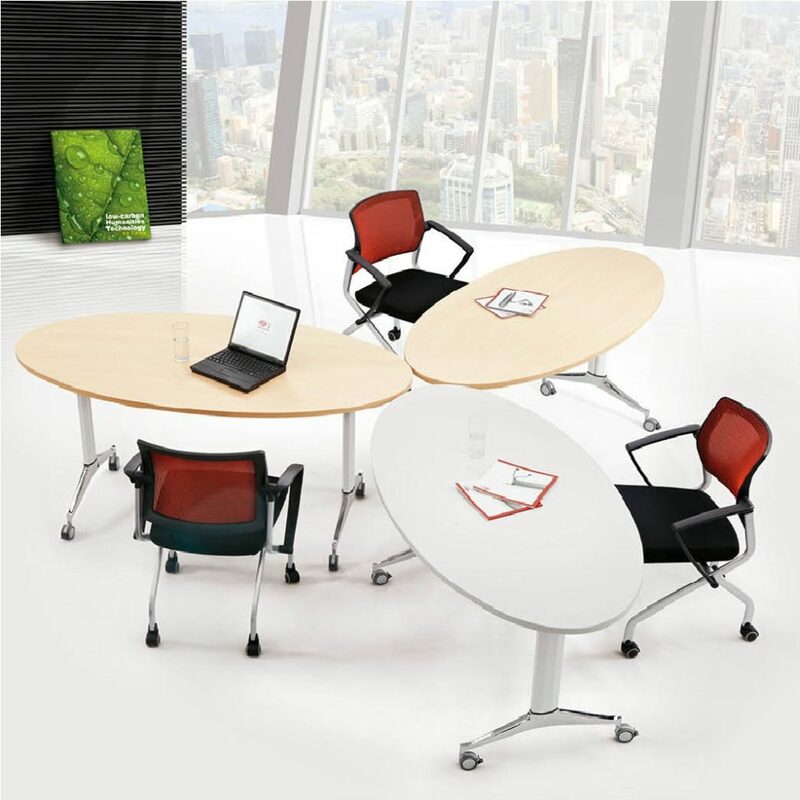 The foldable office tables are available in different styles and shapes. 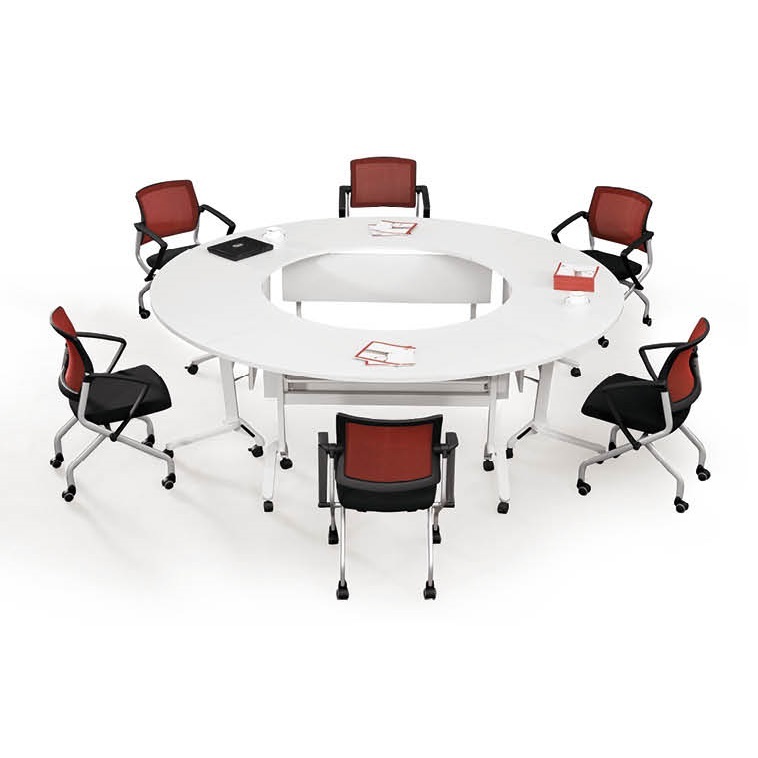 These tables can also be customized depending upon the specific needs of the users. However, most of these foldable furniture have a simple operating mechanism. The folding mechanism involves the folding of table legs around the connection point. In some cases, different parts of the table can also be folded on a hinge. Mostly aluminum is used for making hinges owing to its strength and lightweight. 1. 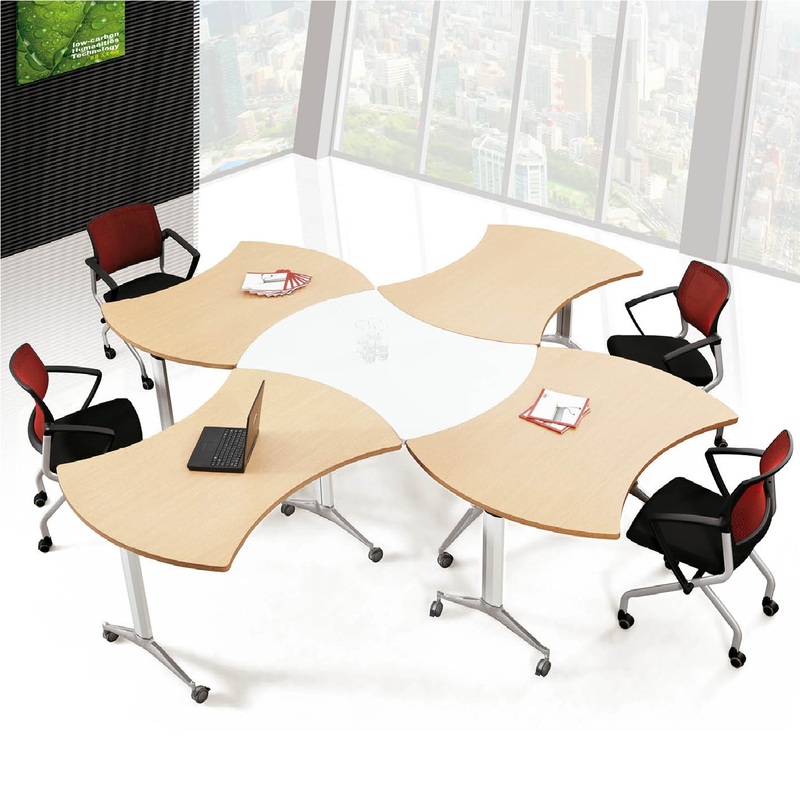 Conference Table: These are large conference tables, which can be used during conferences and meetings. Since the conference tables can take up a lot of space, it is more viable to use folding conference table or foldable meeting desk for the purpose. 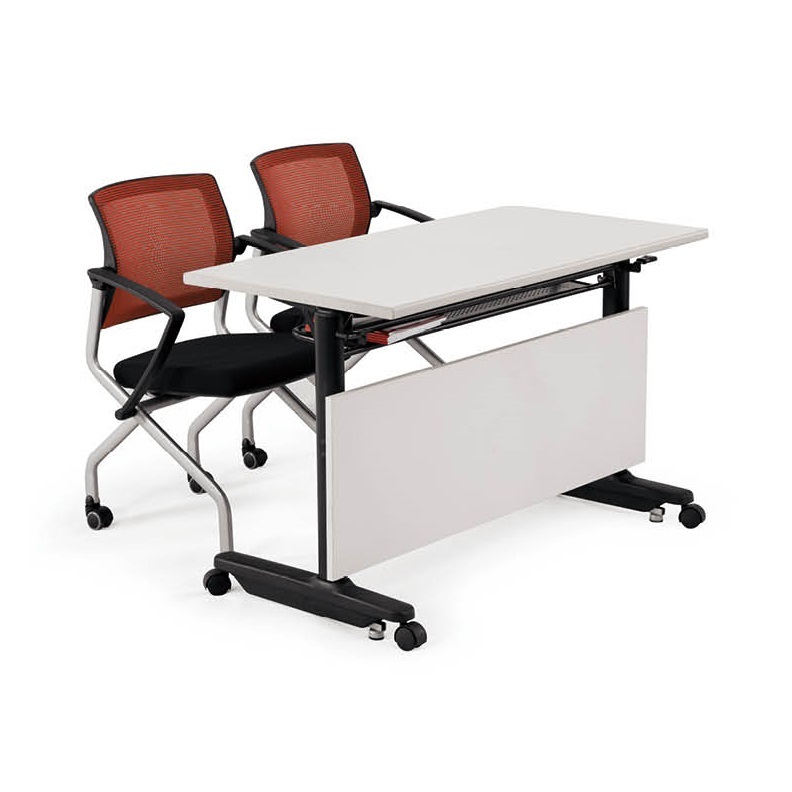 These foldable tables can be set up whenever there is a need to arrange a meeting of staff or with clients and folded up during normal days. 2. 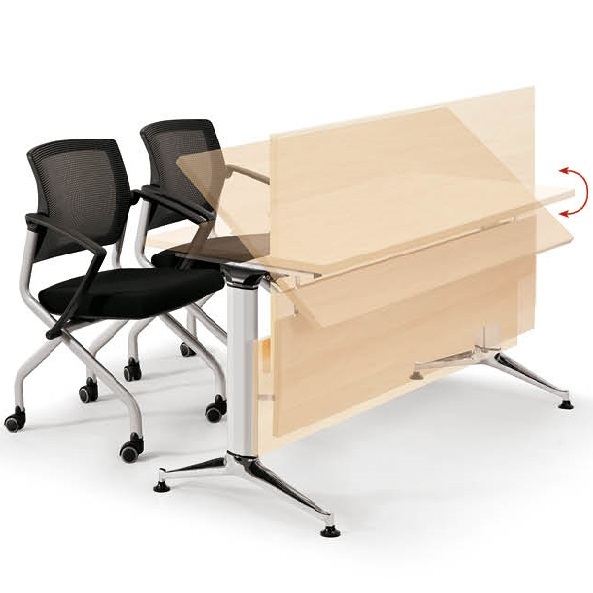 General Use Office Tables: These are general use office desk, which are found in offices as work desks. 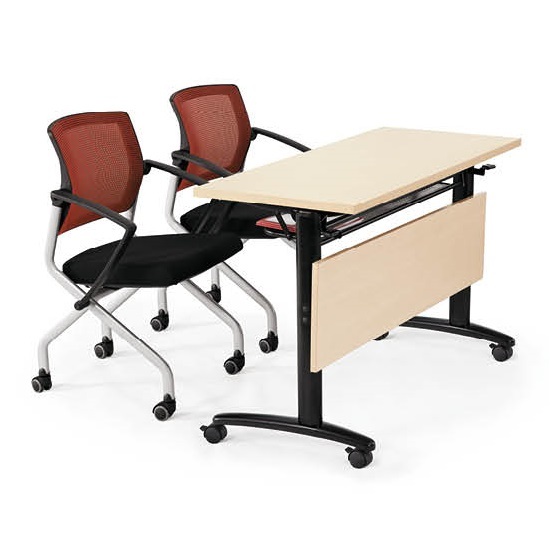 Due to a variety of reasons, there may be a need to use folding work desks. 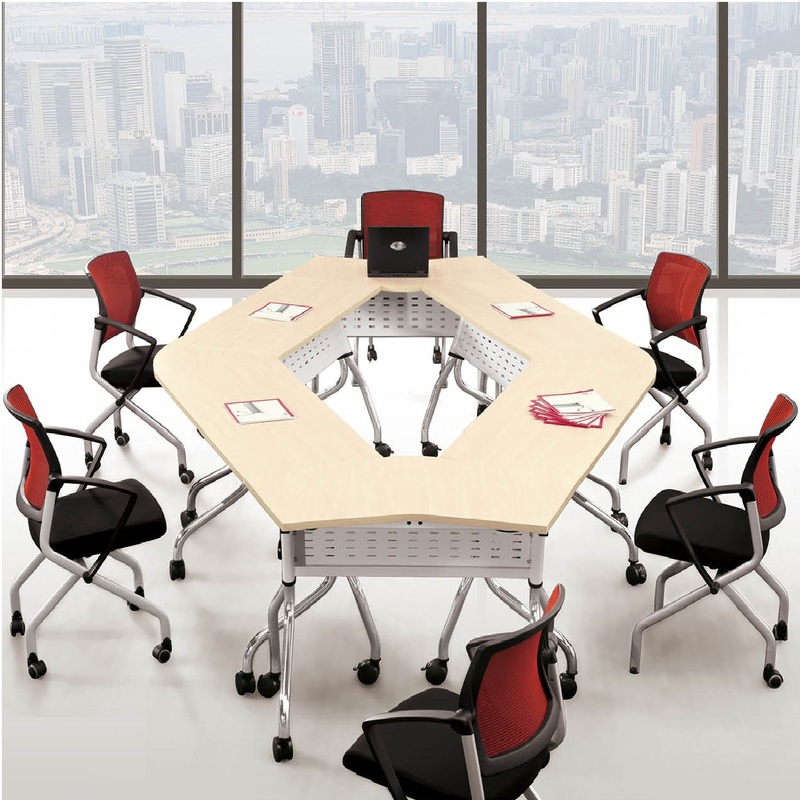 They are highly flexible in shared office situations as well as if the workspace is used by different businesses during different hours of the day. 3. 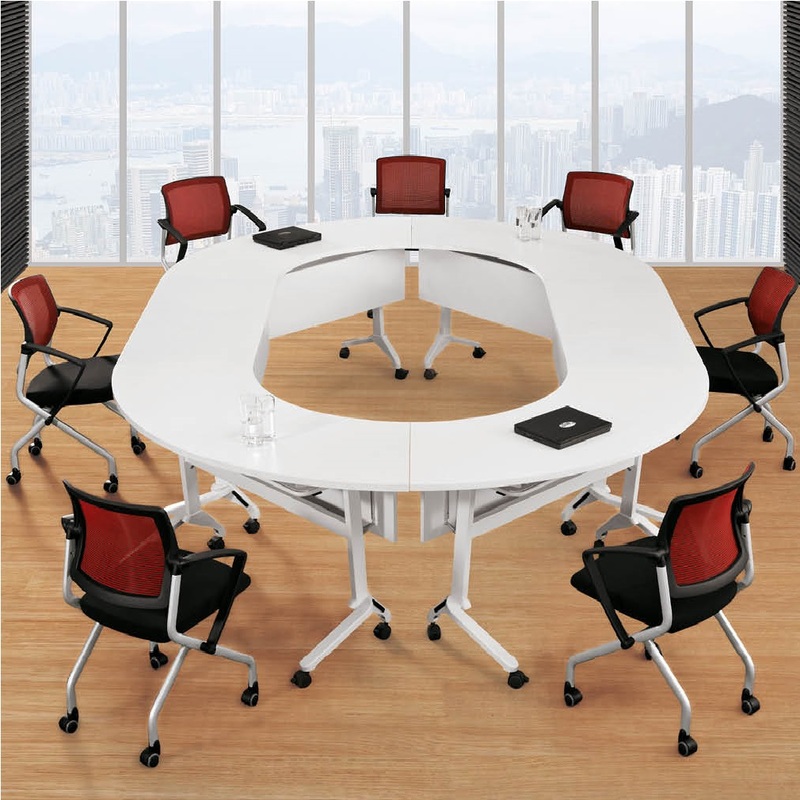 Office Cafeteria Tables: These are the most common types of foldable tables as they are found almost everywhere. Cafeterias require regular cleaning since lots of people visit them on a routine basis. 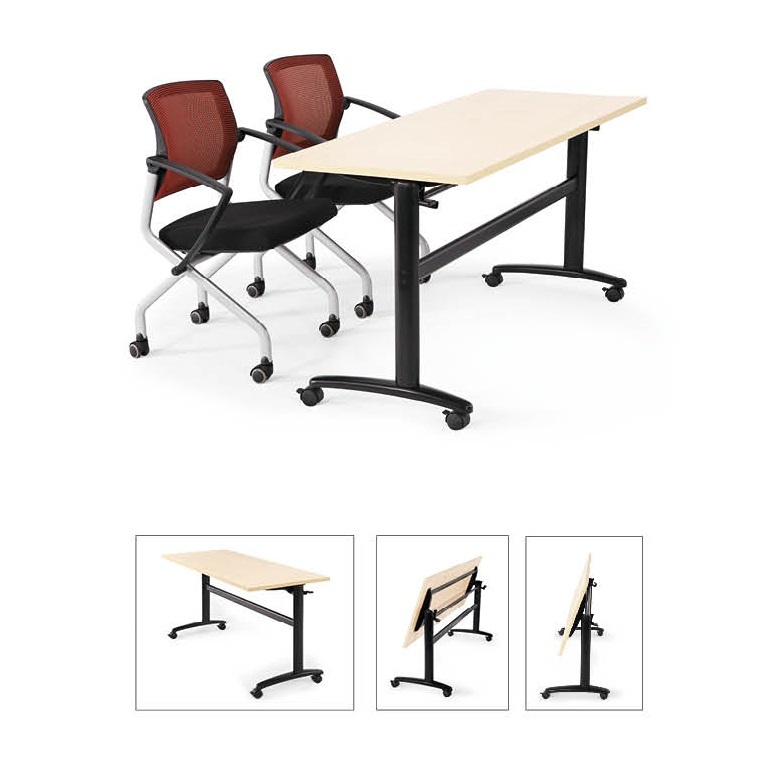 Folding tables make it highly convenient to clean the area since it is easy to dismantle and install them. 4. 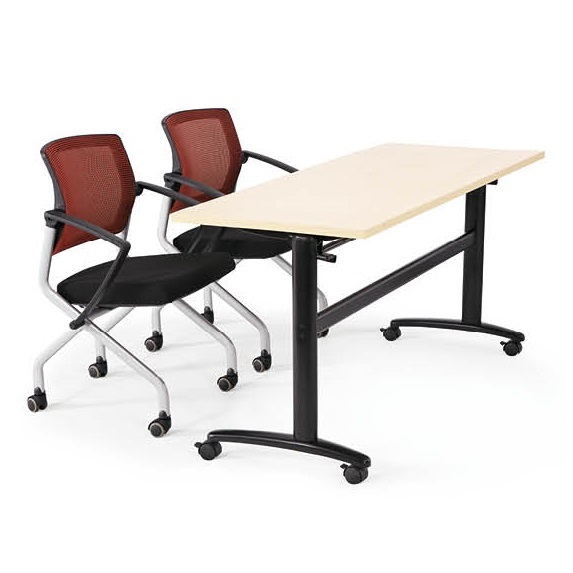 Personal Table: These are also common in offices since they are used for placing various items. They can easily accommodate television sets or desktop computers. 5. Display Tables: Sometimes businesses have to arrange exhibitions or marketing events where the products have to be displayed. 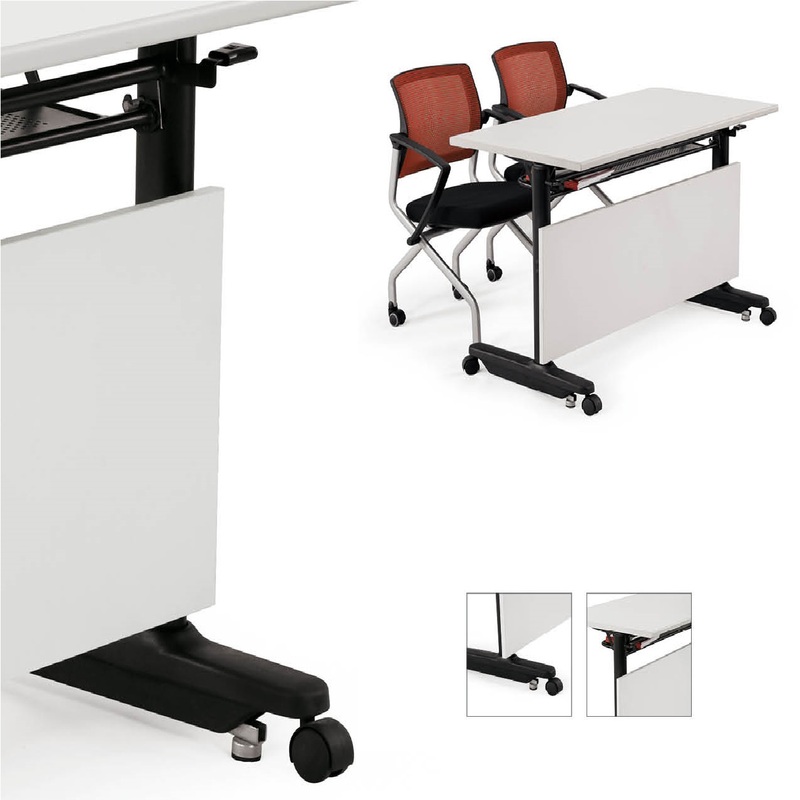 In such cases, folding tables can bring much ease and simplicity to the whole processes. 6. 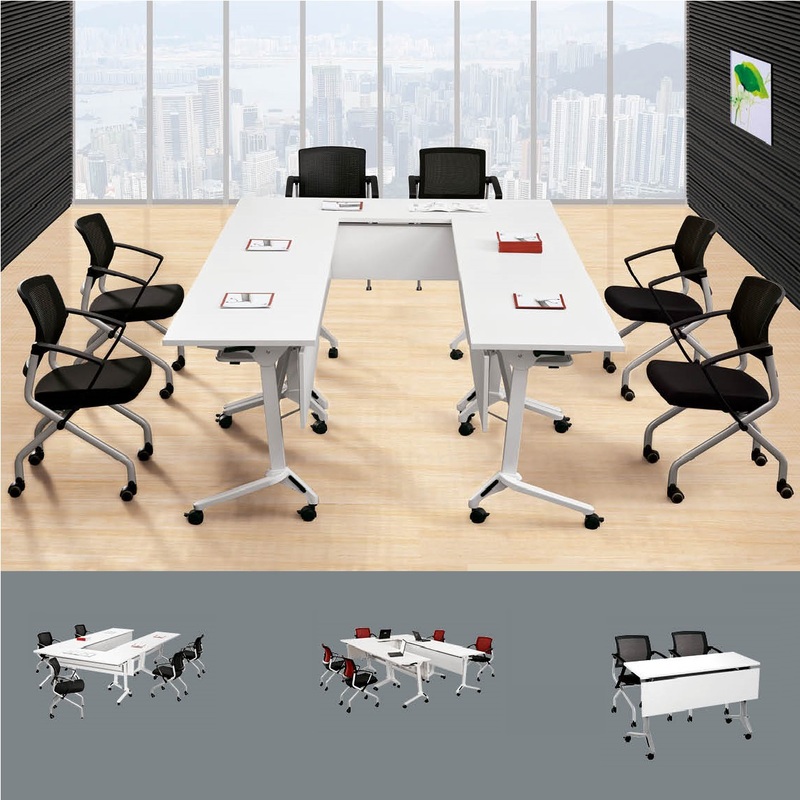 Group Working Tables: These are suitable for team working activities. Sometimes, teams have to work together in order to come up with solutions or brainstorm ideas. 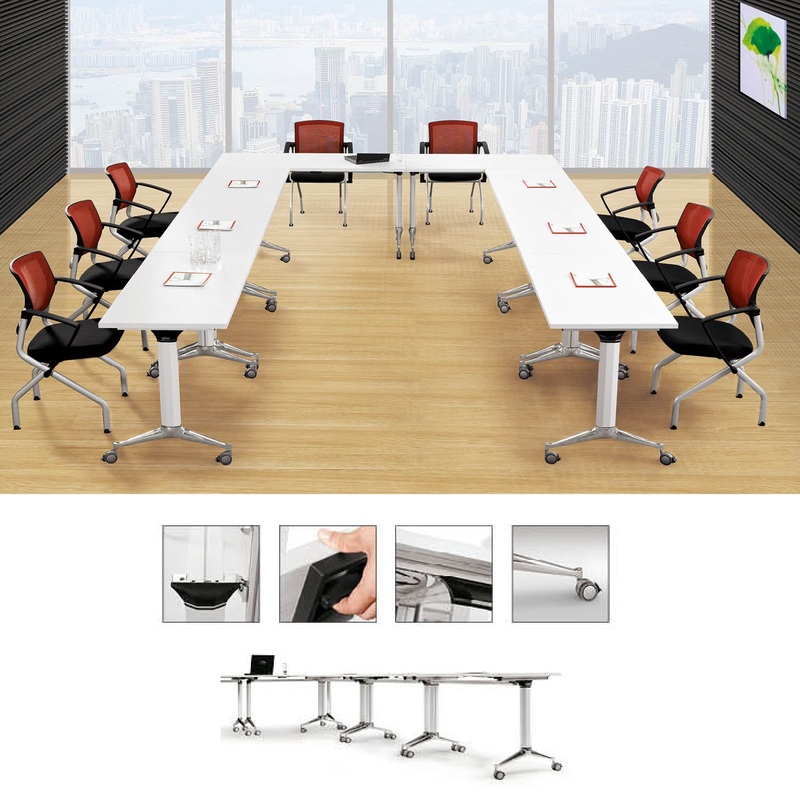 In such cases, foldable office tables can be highly convenient to use. 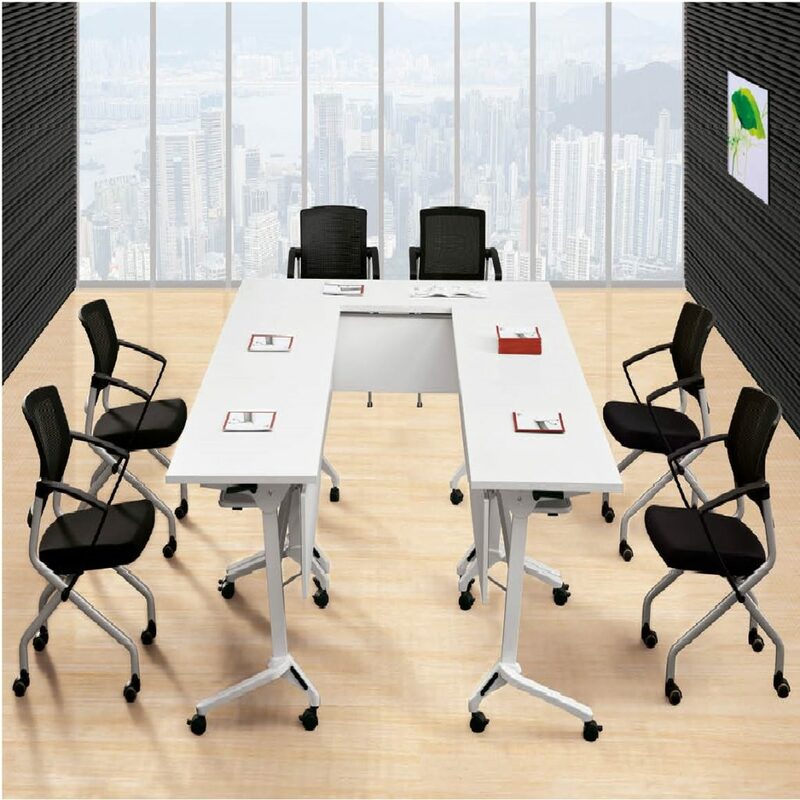 When choosing the foldable office furniture, there is a need to consider all aspects of office requirement in order to make an informed decision. You should consider the office space availability, requirements of staff, expansion plans, future forecast, available budget, etc. 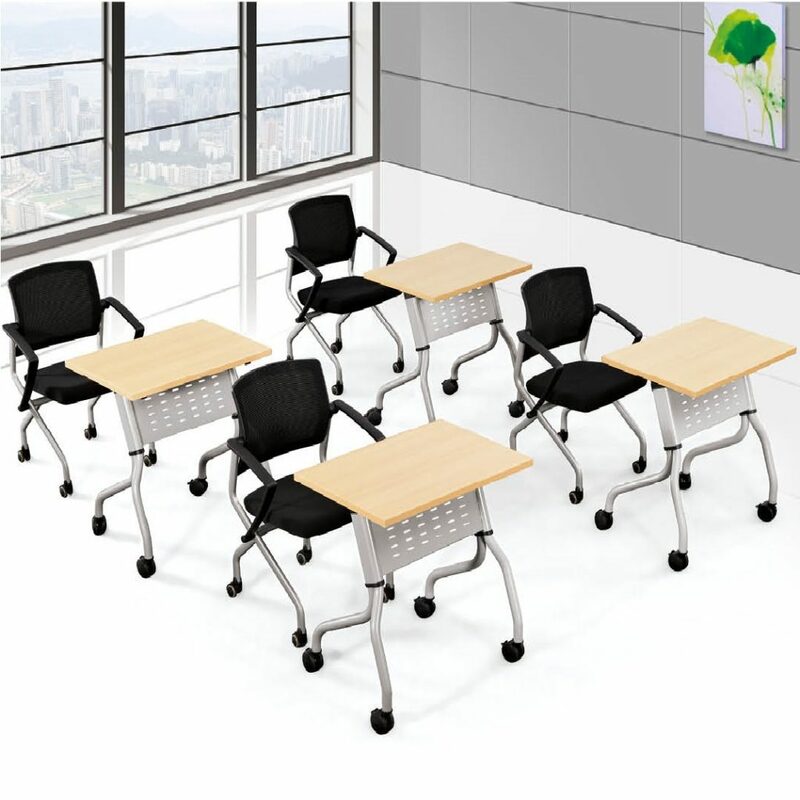 in case you have limited space or a shared office, increasing human resource requirements, a limited budget or future forecast that suggests moving office then you should opt for foldable office furniture. 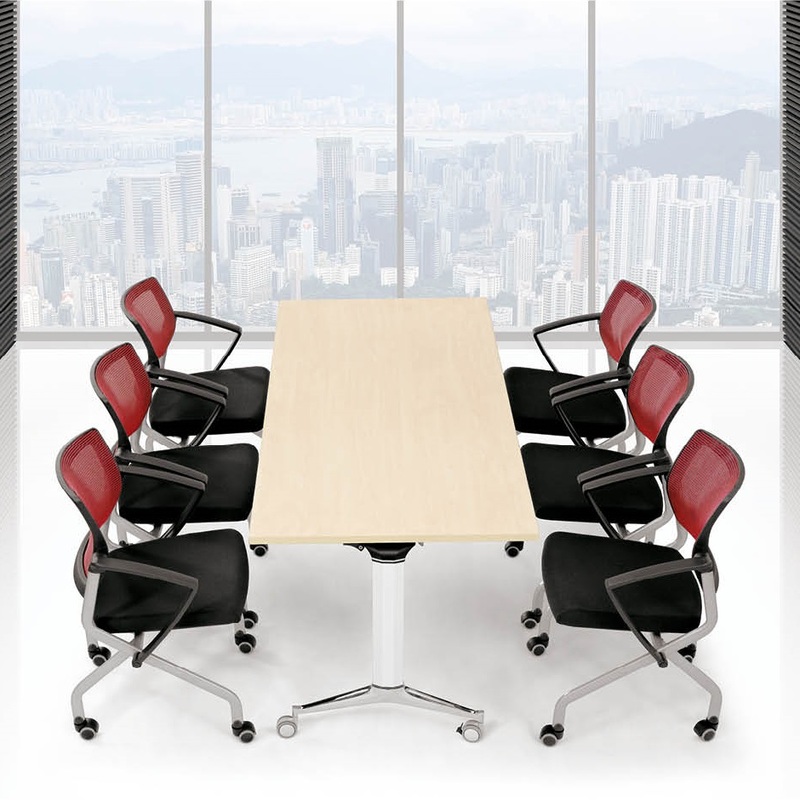 Office Empire is a Singapore based company offering high-grade services in a variety of areas related to office designing, office space planning, office renovation, office furniture, reinstatement, carpentry, and electrical works. 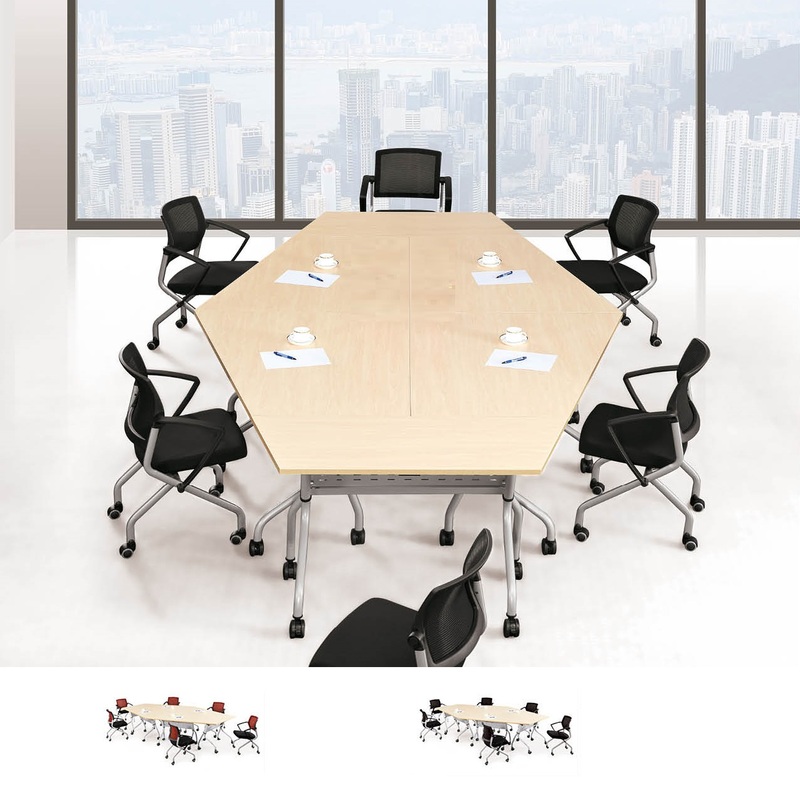 Over the course of many years, Office Empire has supplied premium quality foldable office furniture to businesses for enabling them to achieve greater productivity. All the products are manufactured following the standard product designing, manufacturing, and management services. We have a strong supply chain, which enables us to delivery high-grade services to our clients in a reasonable time. 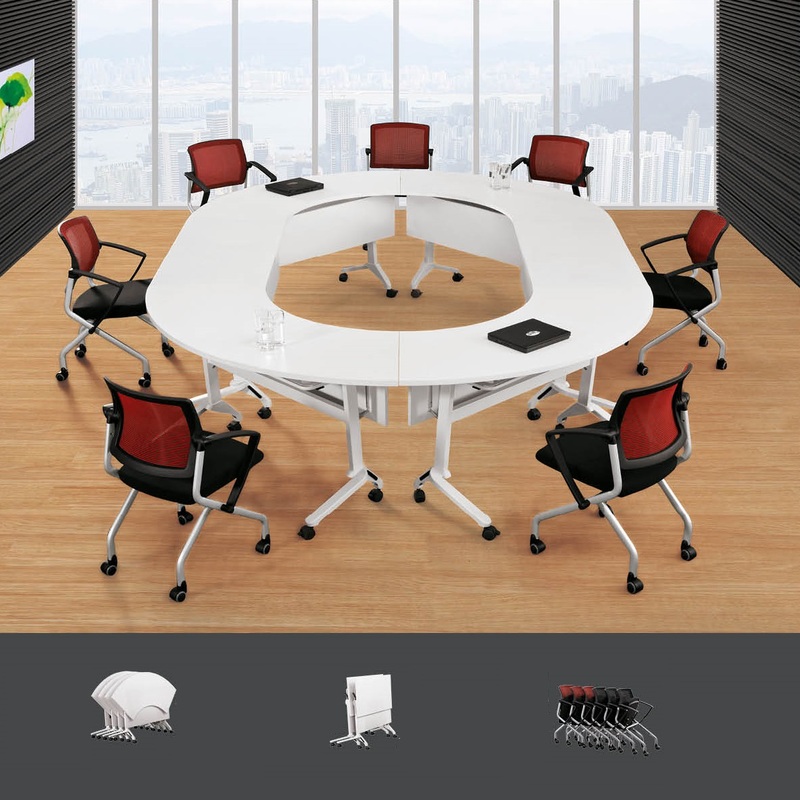 At Office Empire, you can get modern and intelligent solutions for all your office needs.